Built in 1914, this sweet Park Hill bungalow, coined the “Gem” model by the builder, has recently undergone a welcome transformation. Carefully renovated to preserve the charm and historic character of the home, this Denver Craftsman is now ready for her 21st century debut. The Arts & Crafts mouldings, built-ins, and columns have been restored. The great room has exposed ceiling beams that are also original to the home. A dazzling array of historic windows are showcased, as they were intended to be by the builder in 1914. Enjoy the conveniences of this modernized home while nestled in the historic Park Hill neighborhood. Stroll under the canopy of mature trees and walk to quaint stores and local eateries. The festive atmosphere of City Park, the Museum of Nature and Science, and the Denver Zoo are all within blocks of this brick charmer who has lost none of her luster. For a personal tour of this home, or any other Denver real estate, please contact Jesse Sehlmeyer of Vintage Homes of Denver at 303-564-2245. I Love This Old Denver Home, But Now What? It’s finally yours, the dream Craftsman bungalow tucked away on a quiet street a stone’s throw from Wash Park, but it needs a few things. You said you wanted a fixer-upper, and boy did you get one! This Denver real estate hasn’t been touched for 60 years, and she is showing the lack of regular maintenance. But, where to start? The windows are old, the heater looks like an octopus and the decor is retro, but sadly it is the wrong decade. Don’t despair my new Denver homeowner! Coming this March, Denver’s Old House Society is holding the annual Old House Fair. An extravaganza of vendors, lecturers, authors and fellow old home lovers that are happy to guide your home into the 21st century. No longer a babe in the woods of historic renovation, the fair can help to connect you with professional remodelers that specialize in vintage Denver homes, interior decorators that can help you achieve that period look, and tradesman who aren’t afraid to tackle that 80 year old boiler in the basement. Formed in 2008, Denver’s Old House Society has set forth to protect Denver‘s old homes (technically 50 years old or more) and preserve them and the neighborhoods that surround them. The organization works with homeowners to educate them on ways to restore and renovate their homes while maintaining the integrity of the architecture. Each Saturday, they hold workshops for “old-homeowners” on topics such as HVAC, window replacement, masonry and color selections. They also host walking tours in some of Denver‘s most historic neighborhoods. So, mark your calendars for March 10, 2012. 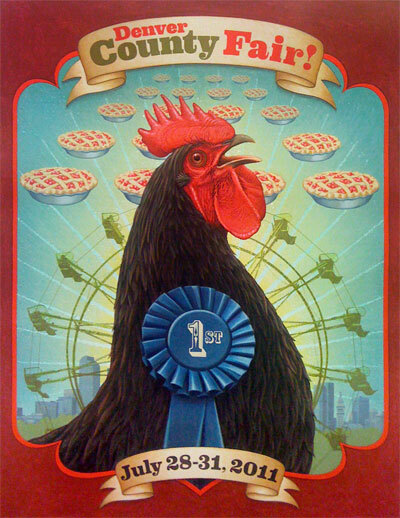 The fair is at the Tivoli in downtown Denver from 9 am – 5 pm. Come and see us at booth number 35 and meet Jesse Sehlmeyer with Vintage Homes of Denver. I have always thought that there must be a better way for potential home buyers to prospect for their new neighborhood. What can you decipher from driving around, windows up, at 25 miles per hour? Sure, the yards look nice as you zip past, perhaps you see a few folks walking their dogs, but you really don’t feel the neighborhood. Much of the time, Denver real estate buyers aren’t sure where they want to purchase their next home. Do they want to be near the bistros, bars and shopping that Platt Park, Wash Parkand the Highlands provide? Do the quiet streets and stately homes of an area like Bonnie Brae or Park Hill fit the bill? Do they crave a bustling hub like LoDo, Capitol Hillor City Park? Maybe the large lawns and plentiful parks of Littleton and Hilltop are a perfect fit. Are University Park‘s historical homes their desire, or new two stories in an area with planned trails and bike paths, such as Highlands Ranch or Parker? All of these attributes of a neighborhood are vital to the overall happiness of every homeowner. If the neighborhood is not a good fit, then the beauty of the house will quickly fade in the heart of those who call it home. Then, I had an idea. Naturally, I suggest that each client walk the Denver neighborhoods that they are interested in pursuing. Going to dinner at the local hangout or walking the dog at a nearby park are all good ways to see the sights. However, with Colorado and the Denver community being so active, and bicycling so fun, I went for something different. Vintage Homes of Denver has acquired four crusier bicycles that are available to clients to ride through neighborhoods that they would like to investigate. Either solo, or with me along for a tour, clients can enjoy a day riding around Wash Park, City Park, Highlands, or any other bike-friendly Denver neighborhood. Each bicycle is equipped with a basket, a cup holder, and a lock. If you would like to arrange a bicycle tour of any Denver real estate, please call Jesse Sehlmeyer at 303-564-2245. 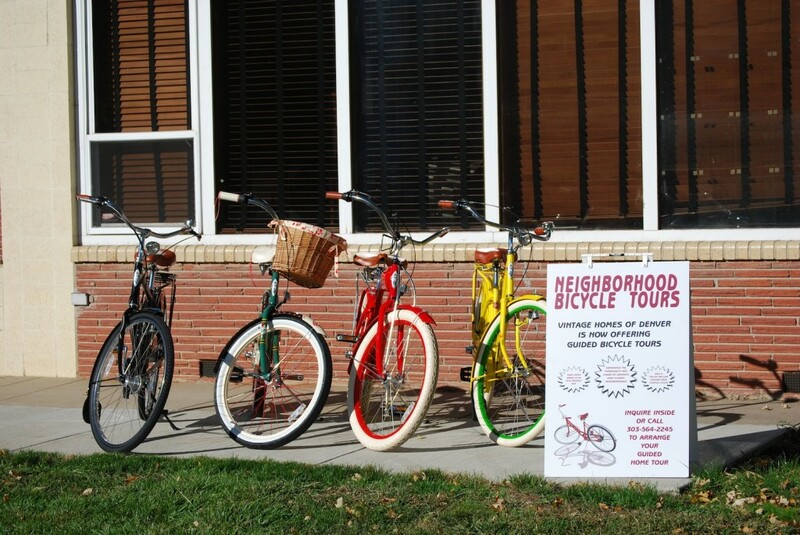 Call Jesse Sehlmeyer at 303-564-2245 to arrange a bicycle tour of Denver neighborhoods. A row of Denver Squares in the City Park neighborhood. Denver‘s architectural culture is a diverse display of everything from the classic Denver squares to the minimal mid-century modern bungalow. For history buffs and architectural enthusiasts, the draw of these historic Denver homes is irresistible. For those who find the charm of the brick Craftsman bungalow to their liking, neighborhoods such as Platt Park, Wash Park, Highlands, City Park, Congress Park, Bonnie Brae and Park Hillare the perfect places to begin the search for their next Denver home. Bungalows in every size range can be found in these pockets of the Mile High city. If a Denver Square has the attributes that you desire, they can be found throughout the metro area, but are more concentrated in the epicenter of downtown Denver. Capitol Hill, north Wash Park, and east of City Park have some of the most magnificent examples of this quintessential Denver home style. The Mid-Century modern home took Denver by storm in the mid-1950′s. Again, you can find these distinct homes sprinkled throughout Denver‘s closest suburban neighborhoods. The hot spots for these homes have a following among midmod lovers, and don’t stay on the Denver real estate market long. Keep an eye on neighborhoods like Krisana Park, Arapahoe Acres, Lynwood, Arapahoe Hills, Aberdeen Village, Hilltop and Harvey Park for the hippest in midmod chic living. New Denver homeowners thank Jesse Sehlmeyer and Vintage Homes of Denver for helping them find their dream home in Denver’s hot Highlandsneighborhood. Jesse Sehlmeyer of Vintage Homes of Denver and Jeff Cline of Cline Design Group have joined forces to bring an exciting opportunity to Denver‘s Platt Parkneighborhood. The home that will soon go up at 1890 S. Washington Street will bring a sense of Colorado‘s roots and the neighborhood’s traditional flavor. 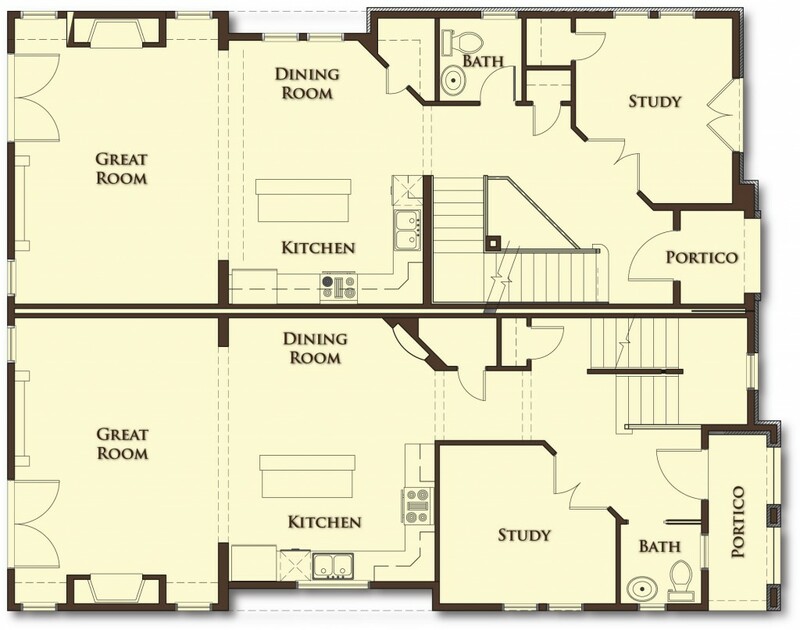 However, the interior will be a study in modern amenities and comfortable living. 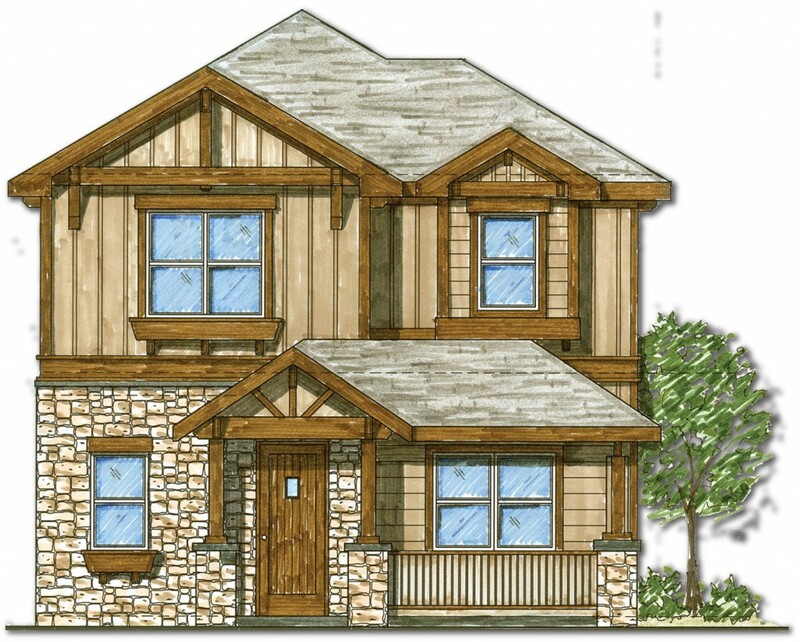 This 3300 square foot home will include a gourmet kitchen, hardwood floors, custom cabinetry, a butler’s pantry and large food storage pantry. The rear entry is designed to be a Colorado mudroom, while the front entry will be an elegant foyer. The formal dining room has ample space for large gatherings, while the eat-in kitchen and spacious great room is perfect for less formal events. The second floor of this well-designed home includes an enviable master suite with gigantic walk-in closet and five-piece master bathroom. 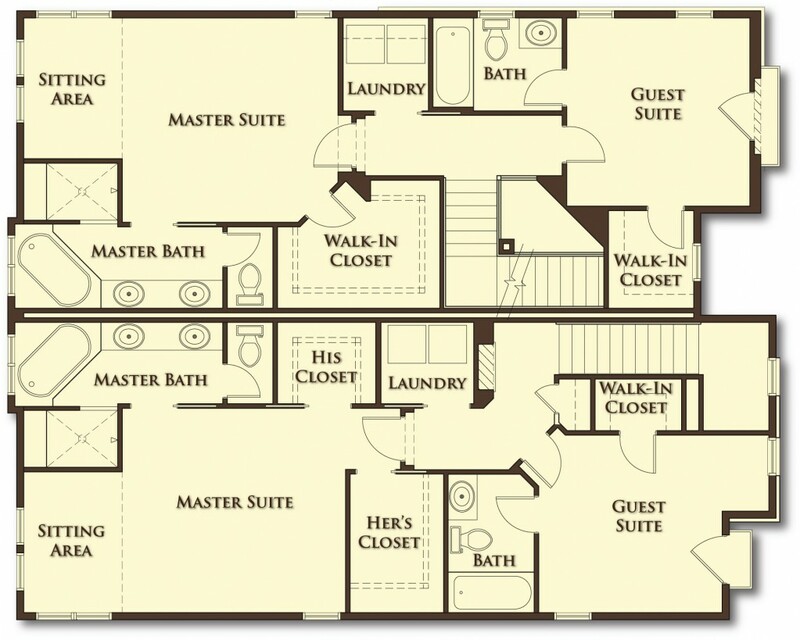 Two additional bedrooms share a strategically separated bathroom. The laundry facilities are on the second floor eliminating the need to lug laundry all about the home. 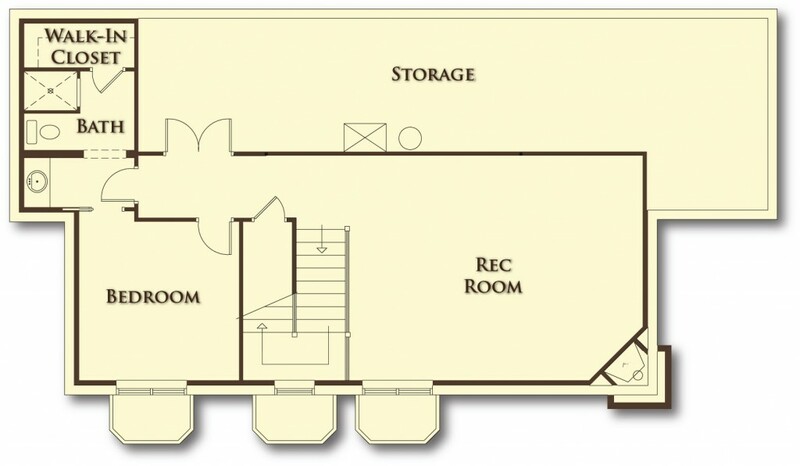 The lower level includes a third bedroom with a generous 3/4 bath, a large storage area and a multifunctional recreation room. 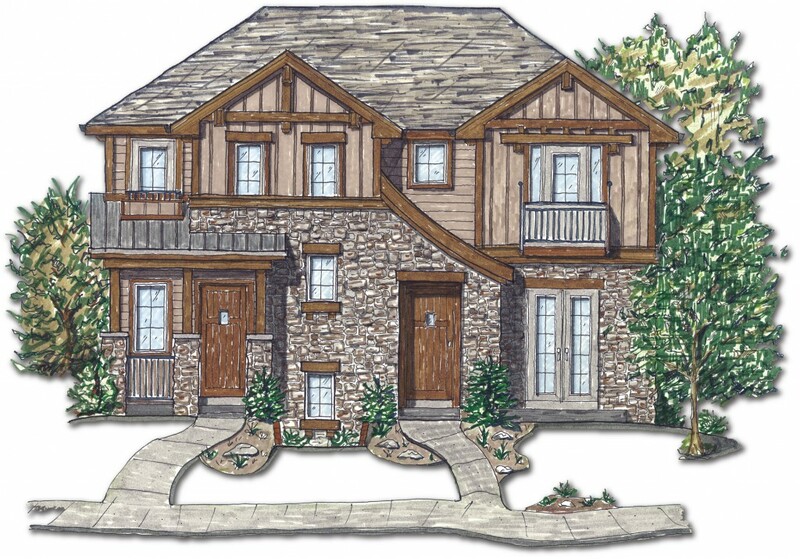 Cline Design Group will be breaking ground for this new home in July of 2011 with completion slated for early 2012. Purchasing a home in such an early stage of construction can enable a homeowner to select or upgrade most of the finish items, making this their custom home. If you would like to meet with Jesse Sehlmeyer of Vintage Homes of Denver to discuss this home, the lot or the Platt Park neighborhood, please contact him at 303-564-2245. One of the last opportunities in the Denver real estate market to purchase a newly constructed duplex in the is coming soon to the Platt Parkneighborhood. The construction at 1831 South Pennsylvania Street by Cline Design Group is being offered by Jesse Sehlmeyer of Vintage Homes of Denver. For those who are looking for the charm of early 19th century that Platt Park is known for, yet crave the comforts of modern living, these duplexes offer the best of both. Rustic facades that bring the warmth of stone and timber make the luxurious interior a hidden treasure. The gleaming 21st century gourmet kitchen supplies every tool that today’s chef would desire. The main level of each unit is a lesson in simple elegance. The expansive great room is kept private with the large foyer and study at the front of the home. A powder room is also included on this level. While subtle differences between these units exist, each offer an ample supply of closet space, a pampering guest suite, and an upstairs laundry. 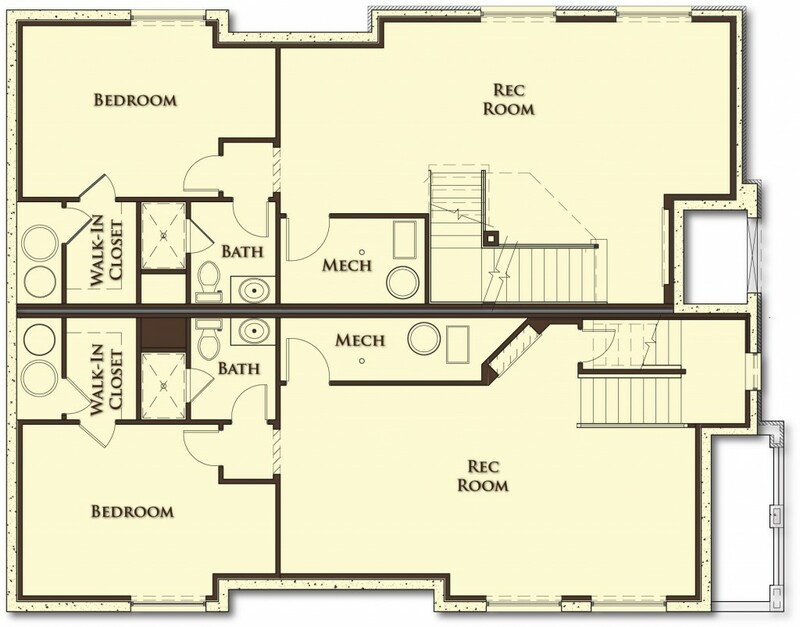 The lower level of both homes supplies an additional bedroom, full bath and a spacious recreation space. These attached homes in Denver‘s Platt Park neighborhood will be finished in the fall of 2011, however, they are also available for pre-sale now. A benefit of a purchasing a home before it is completed is gaining the ability to select granite colors, cabinet stains, paint colors and other finish items. Consider it a custom home without the custom cost. If you would like to learn more about these exciting homes, please contact Jesse Sehlmeyer with Vintage Homes of Denver at 303-564-2245. Enjoy one of Denver‘s most sought after neighborhoods within the walls of this delightful one-story home at 440 Dahlia Street. A gem nestled in the heart of Hilltop, this homes as been painstakingly updated with great attention paid to every detail while maintaining its 1936 period charm. The interior is bright and airy with a gourmet kitchen, massive master suite and spa-like master bathroom. The back deck is surrounded by lush, mature trees and the professional landscaping provides a shady oasis. The large front porch is a perfect location to enjoy a cup of morning coffee and say hello to new neighbors as they head to the beautiful nearby parks of Cranmer and Robinson. This Denver real estate is centrally located in Denver, making an easy commute to all points within the metro area. Downtown Denver can be reached without accessing any freeways. The Cherry Creek Shopping Center is within blocks, as is the boutique-lovers dream destination, Cherry Creek North. For a tour of this home, or other Denver real estate in the Hilltop neighborhood, please contact Jesse Sehlmeyer with Vintage Homes of Denver at 303-564-2245. Just the other day I was wishing for a good ole’ county fair, you know, the kind that you see on cute made-for-television movies. I was picturing big vegetable contests, jelly and jam competitions, quilting sales and pie-eating showdowns. Unfortunately, it is hard to find such a community event in this day and age. While some quaint towns sprinkled throughout the United States may have a corn or bluegrass festival, the County Fair seems to be a thing of the past. Denver had always hoped to host a county fair. The city even bought property in the late 1800′s to hold the big event, however, the Civil War interrupted such revelry and the fair was never held. The land was eventually used for the good of the city, as it is now City Park. While the community has changed and Denver real estate is no longer a vast expanse of farms and ranches, the desire for a county fair still prevails. Urban farming, chicken coops, organic gardening, eco-crafts and other “green” matters are awakening the agricultural spirit in many of Denver‘s residents, turning their Denver homes and gardens into micro-farms. Doesn’t a venue, a gathering, of like-minded parties make perfect sense? Why, the county fair was nothing if not a place where the community could come together for the sharing of ideas, techniques, tools and tactics. Why not raise the stakes and make it more interesting with some friendly competition and prizes? Luckily, a few Denver visionaries have looked into the past and realized that Denver was still waiting for her county fair. So, finally, after waiting over one hundred years, the city will host a county fair. The event will take place July 28nd -July 31st. There will be vendors, jugglers, a carnival, seminars, pie-eating contests, pet-look-alikes, craft contests and other exciting events from days gone by. Anyone who is a resident of Colorado can enter, be judged by official judges, and possibly earn a blue ribbon and $50 (second, third and green ribbons will also be awarded). The Denver County Fair will be held at the Western Stock Show Complex with several connected pavilions hosting individual events. And, just in case you were worried that the Denver County Fair would be too traditional, DEVO is the headline act.